Parking Lot off Appleway at 625 S Sargent Rd., Spokane Valley. This long-held Dishman Hills tradition is not only a chance to look for the year's first flowers and frogs, but we will also share the history and importance of this land we are all working so hard to protect. 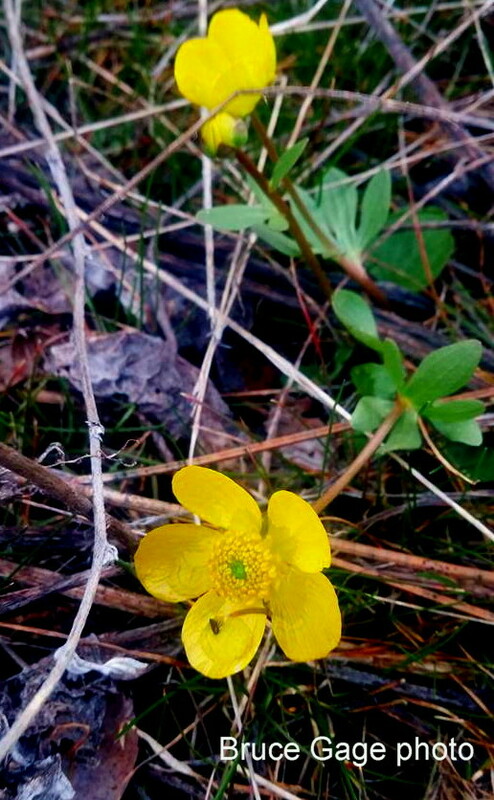 So please join us for a fun morning or afternoon of hiking, socializing and Buttercups! Morning session begins at 9 a.m. Afternoon session begins at 1 pm. Please sign up for one or the other. Meet at Camp Caro (625 S. Sargent Rd., Spokane, WA 99212) by the lodge. Park in the lower lot and we will meet there.